The Bailey of Hollywood Mullan Braided Fedora is made with a fine Toyolene braid. 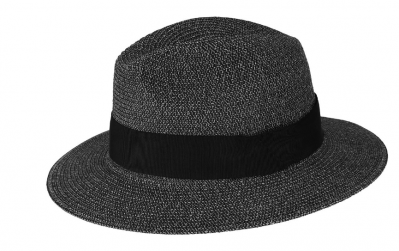 This spring and summer fedora has a 2 3/4" brim, a comfort sweatband, and Japanese grosgrain trim. The Mullan is part of the Bailey of Hollywood Breed collection, a selection of hats that represent a forward-thinking, creative aesthetic.